Etty Hillesum was a Jewish woman from the Netherlands murdered in Auschwitz. Like Anne Frank, she kept a diary which was found and published after her death. But perhaps because Etty is a more morally complex and ambiguous character, it took 38 years before her diary was published, and even now it is hardly known. A chance discovery at a yard sale brought Etty into the life of actress and writer Susan Stein. And now, through the one-woman play she wrote based on the diaries, Etty has become her life’s work. Between performances during her latest British tour, Stein explained how the play came about, and how it develops as she travels the world, bringing Etty to an astonishing range of audiences. 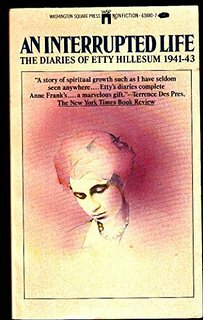 I began by asking Stein how she first encountered Etty Hillesum, and why she decided to turn her diaries into a play. “I first heard of the book from a college roommate’s mother who did not recommend books lightly. She said it had changed her life. Then a few months later, I found a copy at a yard sale in a little town in Maine for 50 cents. It was the abridged version, “An Interrupted life”. It would fit in your pocket. “At first didn’t like her at all. Etty seemed self involved. She is sleeping with two different men, trying to figure out who she wants to be with. She has this very odd relationship with her therapist. “But at some point in my reading something shifted. I am not sure when it happened. I have tried to go back and pinpoint it, but I’ve never been able to find it again. But somehow Etty got under my skin. “It’s as if she were sitting next to me, whispering her life to me. It’s uncomfortable, awkward. And sometimes friendly. Not precious. Sometimes incredibly poetic. Self conscious. All those things. Sometimes I have the feeling I’m not supposed to be reading this. It’s way too intimate. Too naked. “Even so, her sensibility is remarkable. When she gets to the place where she says, “You cannot help us, God. I shall have to help you,” I stopped breathing. Who is this woman? What does she find deep in herself that she comes to that understanding? “I had read the book jacket, so I knew she didn’t survive. I didn’t want to let go. An intimacy I’d barely experienced with my closest friends. I am the slowest reader I know, but I could feel myself slowing down even more as I neared the end. “I couldn’t understand why she wasn’t better known. I remember thinking, ‘I know, I’ll make a play, bring it to people and they will want to read the diaries for themselves.’ (Which is still my goal, by the way.) But I didn’t do it straight away. A few years later, I was in a car accident. That night, in the emergency room, the thought came to into my head, ‘I didn’t do that play.’ Where did that come from? As a writer, I was fascinated to know how she went about taking someone’s words and turning them into a play. “I spent over a year, just distilling it. To begin with I thought I could just take the bits I liked. But then I started working with the director, Austin Pendleton. He made me see that it had no dramatic spine. He started giving me assignments to help me shape it. “I remember having coffee with a woman writing her Ph.D. on Etty. She encouraged me to ‘let Etty guide me to the script.’ Then I spent some time with Etty's actual diaries in the Jewish Museum in Amsterdam. I saw how her handwriting evolved over time. It helped me move closer to her words, and the words began to take me to a deeper place. “Another thing Austin asked me was “Where is her shame?”I had to get underneath her words, figure out what she is NOT saying. I didn’t like where that took me. “I could deal with certain parts of her shame. I knew she was ashamed of how large her breasts were. I imagine her stripped naked at Auschwitz. I worry about how she felt then, in front of all those people. “But I had to take Etty off a pedestal. I was protecting her. I was struggling with my relationship with her, and I was also struggling as a Jew, especially about her menial work for the Jewish Council. That’s a thorny piece of the play. A thorny piece of history. It’s been one of the most difficult and time consuming parts of the play to get right. “At one point, I performed Etty at a Quaker Meeting House in Aberystwyth. After that performance, some people were seeing Etty as a collaborator, which shows how easy it is for people to view victims as collaborators. It made me realise I still had a lot of work to do. By choosing to include the Jewish Councils, I had set myself a difficult task of introducing a complicated piece of history into the play, history most audiences were not familiar with. To clarify the Councils, I had put too much focus on them and the play seemed more about the Councils than about Etty and her remarkable sensibility. “The Nazis were very smart in the way they created the Jewish councils. They put Jews in an untenable situation. Etty is caught in the middle. She refuses to go into hiding and save herself. Yet she accepts a menial role with the Jewish Council, which delays her deportation for several months. 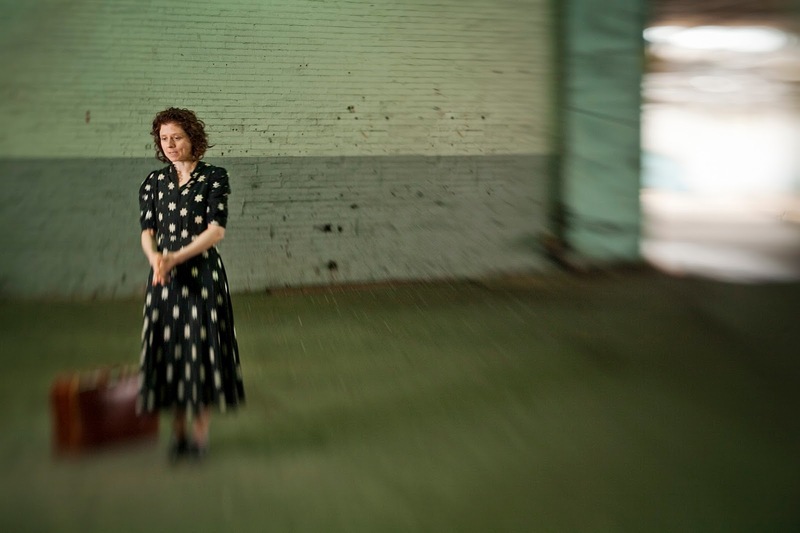 “Where the bind comes, for her, is when her parents and brother get to Westerbork camp. She feels obligated to do everything she can to keep them off the weekly transport to Auschwitz. Yet she knows, if she succeeds in keeping them off the transport, then three other people go in their place. She becomes part of that cat and mouse game. “Etty is agonized by the privilege her position affords her. But Etty is not corrupt. She is a human being caught in an inhuman situation. When I talk about this to students, I tell them – we are all privileged or we wouldn’t be here today, speaking about this. It’s not wrong to have privilege. Sometimes we earn it; sometimes we just get lucky. So what do we do with that privilege? “What I have come to realise is that, within 10 days of keeping the diary, something is released in Etty. This is my interpretation, but I believe that force is what she is calling God. I believe that when she gets to Westerbork, she understands that this is the role she has been cast in. She has to be open to it and be present. She wants to ‘pass the test’. I hope she thought she did. “So the play keeps evolving. It’s like scaffolding – when you move one thing, other things have the change as well. Each stage is different, and I don’t even realise I am in a different stage till I get there. “The nearest I came to that happening was in a prison in Scotland. They brought men and women brought together when they don’t normally see each other, so it had failed before it had even started. By the time I got to the prayer, they were all but throwing things. The only reason they didn’t walk out was that they weren’t allowed to. And I kept going. I had the experience of staying with her words when no one else cared. “Despite that, prison performances are some of the most powerful. And I’ve met the most amazing people. A teacher at Shotts prison near Glasgow. Some severely disabled children at Braidburn school in Edinburgh. Etty has brought us together. “I had no idea the project would have the life that it’s had. I didn’t know I would travel to all these places. Sometimes I have to ask myself, am I doing this right? It’s never had a theatre run. Never reached the point where it has a momentum of its own. Every day, it’s waking up and calling people, trying to let them know about Etty, finding the next venue to do it. “But maybe travelling round the world with a suitcase and Etty’s words is the venue for this piece. Taking her to those who wouldn’t normally go to the theatre. When I first set out to write early medieval fiction one of my motivations was to dispel some of the myths about those times, myths which I had believed myself until I started doing some serious research, such as: all medieval people did not wash and were illiterate and women had no power or rights. My historical novels are set across Europe in the 10th-12th centuries and their protagonists are always women: countesses, servants, slaves and female troubadours. Yes, there were real female troubadours in the early Middle Ages. They were called trobairitz and wrote racy, sensual and profoundly moving poetry (see Peter Dronke’s Women Writers of the Middle Ages and Meg Bogin’s The Women Troubadours). There were also female poets, known as skalds, amongst the Vikings. As well as appearing as characters in my novels, the words written by these women are invaluable sources for creating credible, sensory worlds for my readers to step into. Many of my characters are based on real historical people, including the male characters, some of whom, such as Audebert Count of La Marche, emerge even from dusty, centuries-old chronicles, as rather hot! Just as we know more from the historical evidence about the experiences of noblemen and women than we do about the lives of the peasants and lesser people, we also know much more about the men than about the women. So I am faced with the challenge of how to create a fully sensory world from a range of female perspectives. For the servants and slaves, the labour involved in day to day life in a pre-industrial society is always a significant factor to consider. Whenever I visit one of the glorious medieval bastide towns in France such as Cordes-sur-Ciel or Najac, built atop very steep mounds to give strong defensive positions and views of approaching enemies, I always think about the servants plodding up and down those steep inclines with mules loaded down with wine skins, parchment, spices, whatever the lords and ladies of the castle required. All medieval people were living much more closely with the rhythms of day and night and of the seasons, since they had no electric light and many of the other things we take for granted in modern life. They did not travel or go to war in the winter when seas and rivers were turbulent and roads were muddy morasses. Their day began with sunrise and they ate earlier, went to bed earlier. They grew, hunted and cooked their own food and made their own clothes. We imagine medieval people living narrow existences in one place but some of them were great travellers: pilgrims, traders, vikings of course, and some noble brides went far from the places of their birth for their marriages. Travel was possible, it just took a lot longer. I use original sources such as The Trotula, a compendium of women’s medicines written in Italy in the 12th century, or Dhoda’s marvellous 9th century handbook written to advise her son, along with medieval handbooks on cooking, hunting, hawking, bee-keeping, and the writings of medieval chroniclers including Ademar de Chabannes, William of Malmesbury and Orderic Vitalis, to help give the world I am creating veracity and bring it to life. A museum in Toulouse gave me a reproduction of an 11th century map of the city to help me recreate that, since modern Toulouse bears little resemblance to the city my 11th century countess rode through. The protagonist of my first novel, Almodis the Peaceweaver, was the real Countess of Toulouse and Barcelona, my second novel incorporates real historical characters such as the Norse Viking Olafr Tryggvason and the Viscountess of Limoges who was kidnapped by Vikings and held hostage for three years. My new novel published later this year, focusses on the experiences of the real Welsh princess, Nest ferch Rhys, who was held hostage by Norman invaders from a young age. I undertake historical research finding out what happened, when, where, to whom. What did the people wear and eat, what were the places they lived in like, how did they travel, how long did it take to get from one place to another on horseback or on a river boat. I use lots of sources to inspire me aside from literature and historical documentation, including objects in museums that my characters might have handled and owned, my visits to intact medieval sites and Romanesque churches, looking at paintings and manuscript illustrations. The appearance of my character Almodis is based on a beautiful statue of the Virgin in Albi Cathedral in France, but my character Nest ferch Rhys is modelled on a striking black-haired, blue-eyed Welsh girl I saw on a train between Swansea and Carmarthen. Several objects from the British Museum feature in my first novel including the Dunstable Swan Jewel and a delicate pink glass palm cup. A Viking serpent brooch and an exquisite decorated Viking swordhilt found in the sea between Pembrokeshire and Ireland were inspirations for my second novel, as were the Welsh islands of Caldey and Skomer which were occupied and named by Vikings. For my new novel I spent time walking along the cliffs and estuaries of Carmarthen Bay in Wales where a significant part of the story is set. The French historian Georges Duby wrote ‘I must never forget the differences, the hundreds of years that separate me from my subject, the great stretch of time that hides almost all I am endeavouring to see behind a veil I cannot pierce.’ Similarly the historian Thomas Asbridge says that ‘The emotional landscape of this era will never be fully recovered’. Some things have not changed much despite the years: landscapes, weather, love, whilst other things do feel significantly alien to us, such as slavery, youthful betrothals and brides and constant childbearing. People lived much shorter lives and had to get on fast with the business of living. From our 21st century perspective it is a stretch to imagine how medieval women really perceived their relationships with men, God, power, and their children. I feel I have a certain freedom to imagine and fictionalise my characters’ experiences as long as I can sustain credibility for my readers – well that is the difference between writing history and writing historical fiction. 1 The Dunstable Swan Jewel from the British Museum, used in Tracey’s first novel, Almodis the Peaceweaver. Wikimedia photo by Ealdgyth. 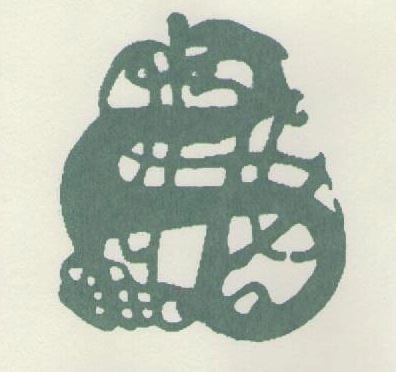 2 Print from a Viking serpent brooch in the British Museum. 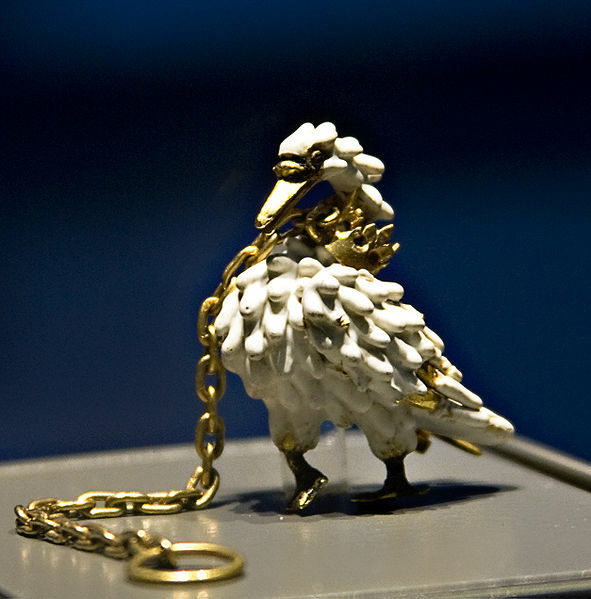 The brooch features in Tracey’s second novel, The Viking Hostage. Print and photo by Tracey Warr. 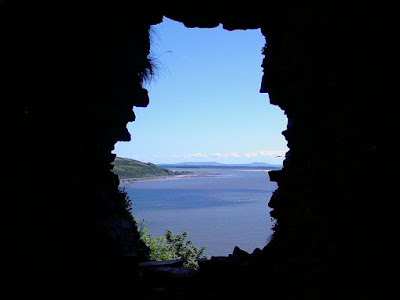 3 View of the sea and estuary through Llansteffan Castle window, Wales. The castle features in Tracey’s new novel, Conquest: Daughter of the Last King. Wikimedia photo by dwtheprof. Kate Hamer grew up in Pembrokeshire. 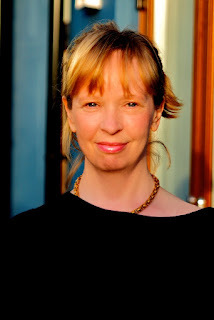 She did a Creative Writing MA at Aberystwyth University and the Curtis Brown Creative novel-writing course. She won the Rhys Davies short story award in 2011 and her winning story was read out on BBC Radio 4. She lives in Cardiff with her husband. 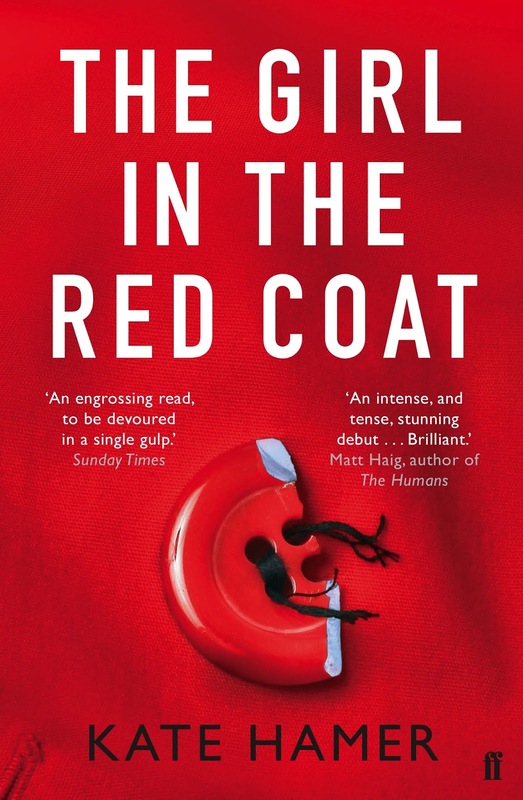 The Girl in the Red Coat (March 2015) is her first novel, recently nominated for the Costa first novel award. Hello and welcome, Kate. Can you tell us a little about you and your writing? Thanks! I live and work in Cardiff though I was brought up in the countryside in rural Pembrokeshire. I’ve written, essentially, since I was a child. I used to write stories, illustrate them and staple them together in books. I’m a voracious reader too. I guess I write in a similar vein to the books I love to read which are nearly always dark twisty stories which hopefully take you somewhere unexpected. Novelist is quite a new career for you. Was taking an MA at Aberystwyth Uni the catalyst to that career change or something you’d been planning for a long time? Writing was always there in my life, always incredibly important but for a long time something I did mainly for myself. Attending the MA was an big step, apart from anything else it was me making a commitment to writing whatever happened. Another huge moment for me was winning the Rhys Davies short story prize. Winning that was a huge boost and told me possibly I might be going along the right lines. TGiTRC has been called a 21st Century version of Little Red Riding Hood. Did that ever occur to you whilst writing and how do you feel about the comparison? And then the book was shortlisted for the Costa First Novel prize! How did that feel? Absolutely one of the most incredible, stand out moments of my life. I think I stood speechless for about ten minutes after I put the phone down. It’s something I couldn’t have begun to imagine when I was writing the book. I didn’t even know if it would get published then! There’s a lot of attention on the complexities of mother/daughter relationships in the book, is this something that’s important to you? I think it’s a rich and interesting relationship that’s surprisingly rare in novels. When the book was published I wrote an article for The Independent newspaper about mothers and daughters in literature and I had to really hunt to find examples. It’s a great thing to write about because it’s close yet complex. Eight year old Carmel in the book is already beginning to test the boundaries with her mother. It’s a loving relationship but scratchy at the same time, sort of ‘push me, pull you.’ The bond between Beth and Carmel is absolutely the beating heart of the book. You’re based in Wales, where I also set all of my novels, is location and setting something you consider important in your writing? Location is a lovely thing to write about. It’s a really strange one though – I’ve tried to write about Cardiff where I live and I’ve found it really difficult. I read Maggie O’Farrell once saying something like – I don’t write about places I’ve lived because I can’t imagine them - and I totally understand what that means. It’s almost like I need to be a little bit outside of a place to write about it. I feel particularly drawn to placing narratives in the countryside too – perhaps because that’s where I was brought up. Do you have your own special writing place? I work at home in one of the bedrooms. Sometimes I think it’s good to refresh things though. Part of ‘The Girl in the Red Coat’ was written in Cardiff library because I felt the need for a change of gear and sometimes changing the place I write seems to do the trick. I recently heard of someone who changes where he works with each new project – I can relate to that. What attracts you to psychological thrillers? I’m really interested in people and the workings of the human mind and that’s where the psych thriller squarely sits. Their own peculiarities and motivations drive the narrative. It’s what I love to read – and such a hugely broad category, Hamlet to my mind is a psych thriller – so it seems a natural place to go when I come to write. Would you ever like to write in a completely different genre? If so what would it be and why? I have a plot idea for a sci-fi novel though whether I’ll ever write it I don’t know. It appeals to me because you can really push the boundaries with sci-fi. Having said that it’s the relationships that would still propel the story forward. I don’t think it matters what time you’re in, for me that’s always going to be the case. Maybe one day…! Are you a regimented plotter or do you go where the story takes you? A bit of both. 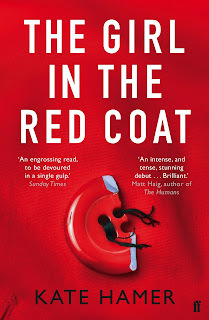 With ‘The Girl in the Red Coat’ I wrote the beginning and then very soon after the last few paragraphs so I always knew where I was heading although there were twists and turns along the way. I did the same with my second novel that I’ve just finished the first draft of and I’ve just started a third with the same method, so it seems to be a bit of a pattern! 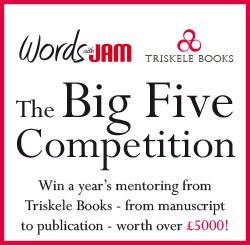 If you could give three top tips to newbie writers – what would they be?Trust your instincts with the story. If you feel that excitement in your gut then go with that. Read everything you can lay your hands on. Read your fellow contemporary authors. It lets you know what’s current but it also supports real living writers too. If you feel a bit stuck don’t sit there staring at the screen. Take your characters for a walk. Chances are with them strolling alongside you they’ll start speaking to you again and you’ll soon be racing back to the computer to get it all down. 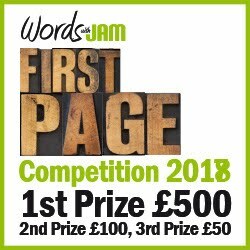 Finally, how is the ‘difficult second book’ coming along – and has it been more difficult than the first to write or not? I’ve finished the first draft. It’s a dark coming of age tale about family secrets. It’s been a very different experience writing it. With your debut nobody has a clue (or cares) what you are doing. With the second one that’s obviously not the case but I just decided to forget everything and concentrate on the page every day. I think that’s all you can do as a writer. Each new page is a new journey. Labels: Costa Book Awards, interview, Kate Hamer, The Girl in the Red Coat.